These pictures are from a recent carpet cleaning job in Tampa FL. My customer has two dogs and her stairs get a lot of traffic from her pets and daughter going up and down the stairs at full speed. Cleaning stairs is always a bit of a challenge because they take such a pounding on a daily basis. We go up and down stairs with a lot more force then we do on level carpet. I don't know if you have children that like to run up and down stairs, but mine seem to be wearing lead lined shoes as they go up and down the stairs. 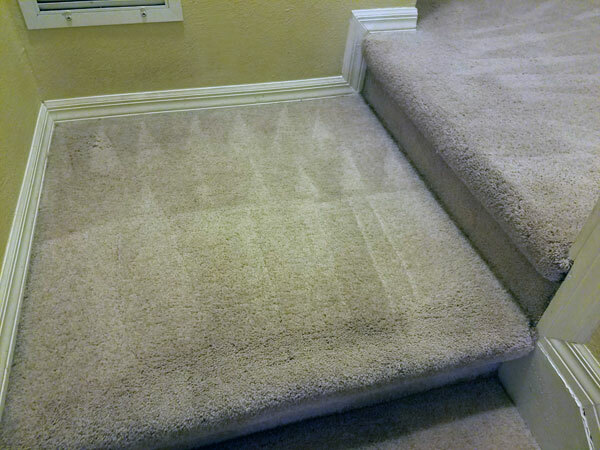 So how do you clean carpet on stairs? It requires a specialized tool called a stair wand. It looks a lot like a regular floor cleaning wand but it's a quarter of the length. It designed to make it easy for the carpet cleaning technician to use while standing on a stair case. even so it still requires a good amount of force to get good cleaning power on stairs. There is always a good amount of traffic lane grey on stairs because stairs have a narrow pathway that forces you to tread over the same area constantly. In Tampa FL that is compounded by a high degree of sand that is present in the carpet. Between the constant trampling of the same area and the abrasive nature of sand our carpets get prematurely worn. 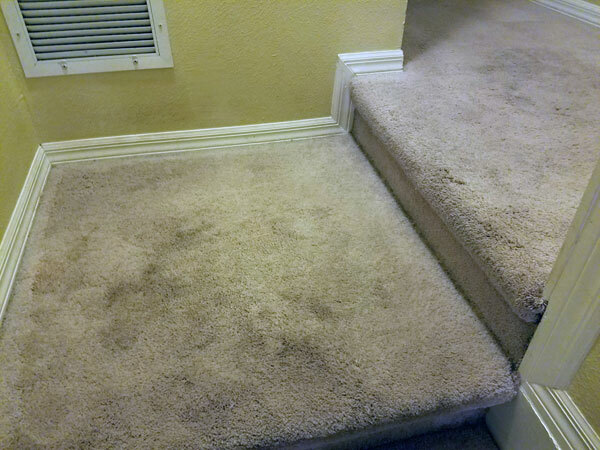 When I'm asked how to clean carpet in these areas I tell my customers to vacuum their stairs and pathways on a regular basis to ensure as much sand removal as possible. Regular maintenance is how you can keep your carpet clean.